Paris, one of the three most visited cities in the world, becomes the centre of homeland and security professionals from all over the world every second year. This year the exhibition named Milipol Paris 2017 hosted the record 1005 exhibitors out of 53 countries and we are proud that MOSY took part in this event. During four days from November 21st to 24th, Milipol was visited almost by 30 000 visitors from 151 countries. 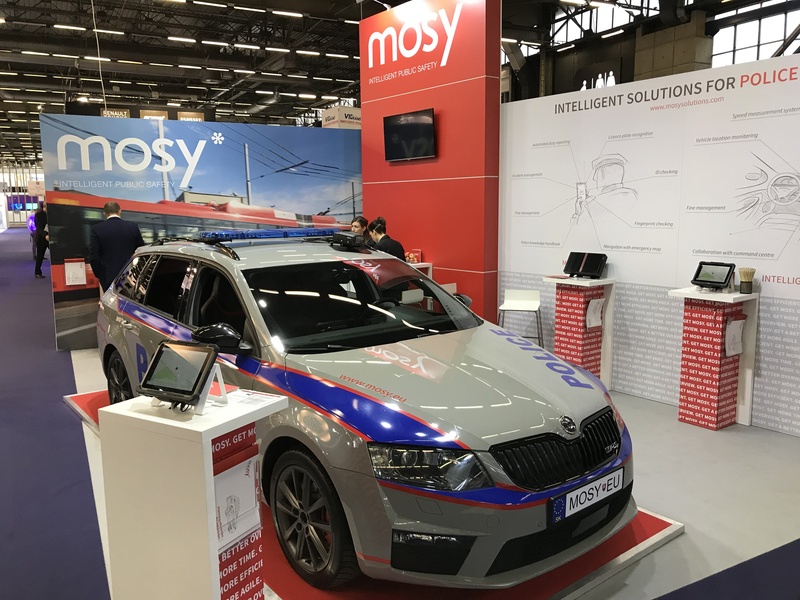 In comparison with our first exhibition that we participated in 2 years ago and the positive reactions of visitors, we must say that MOSY has done a huge leap forward in the last two years and has become one of the world leaders in intelligent public safety. What has been changed over the last 2 years? In comparison with the year 2015, when it wasn’t easy to come to Paris one day after the terrorists’ attacks, this year it was for us much easier. Moreover, MOSY has nowadays strong product portfolio, clear positioning, and plans. 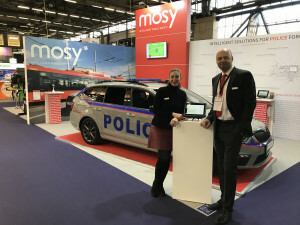 MOSY isn’t beginner anymore in public safety as we could feel not only from visitors’ reactions but also from the talks we had with protentional partners or current competitors. Our unique in-vehicle computer Q*Box, which is placed in the trunk of the car, is really compact. This single device combines several functionalities such as broad communication platform, GPS and programmable power management. All stand visitors were longing to try 😊 our newest ruggedized tablets and mobile phones with MOSY’s software platform named m*Patrol that runs on all mobile devices (Android, iOS, Win). Thanks to these, police have a possibility to experience many functionalities such as video recording, ANPR, document reading, collaboration with dispatching, incident management and much more. 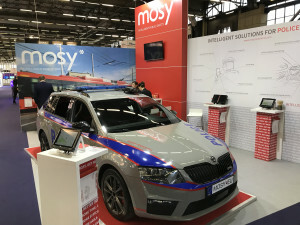 MOSY presented for the first time a new m*Patrol module – speed measurement system. It is an in-car speed enforcement system mounted in the vehicle and operating in 2 modes –moving or still. Our team was very welcoming and delighted to answer any curious questions and queries. People appreciated our Škoda Octavia RS with our own police branding. To complete the Milipol Paris 2017 statistics, we have gained worthy contacts from more than thirty countries among which there are potential clients as well as partners. The exhibition offered as usual a wide range of new technologies, guns, special military clothing, detections systems and many other products. MOSY was delighted to be part of it. Looking forward to meeting you in 2019. See you there.